Triumph Motorcycles has launched the 2019 Street Twin in India at Rs 7.45 lakh, ex-showroom. 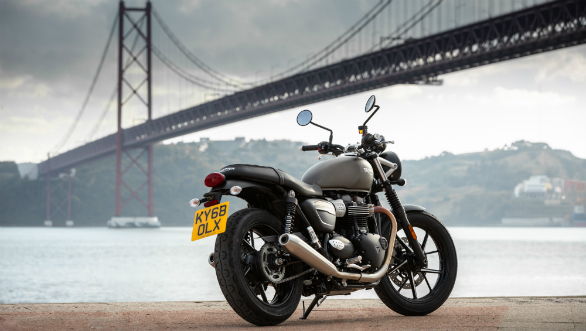 The 2019 Triumph Street Twin along with the Street Scrambler are being brought to the country through the CKD route. Triumph has updated the styling bit with subtle cosmetic changes. However, more importantly, the 2019 iteration of the Street Twin makes 18 per cent more power and also comes with improved braking and suspension setup. The 2019 Triumph Street Twin will be available in three colour options, Korosi Red, Jet Black, Matt Ironstone. Internationally, Triumph has also introduced two new custom kits for the Street Twin, one a minimal Urban Ride kit, and the other a Cafe Custom kit. The cosmetic changes on the 2019 Triumph Street Twin are subtle and only the one with a keen eye would notice the restyled wheels, side panels and the new logo. As part of the update, the Street Twin now gets a new Matte Black colour scheme and the Street Scrambler now receives the new set of graphics. The updated braking system for 2019 includes a four-piston Brembo caliper with Brembo branding. Triumph has also increased the seat height of the Street Twin by 10mm, by adding an additional 10mm of padding to improve comfort and seat height now stands at 760mm. The rider triangle has thus improved, making for a more comfortable seating position than before. The Street Twin and the Street Scrambler are powered by the same liquid-cooled 900cc parallel-twin motor paired to a five-speed manual gearbox. The updated engine has new parts such as the magnesium cam covers and a lighter crank along with dead and balance shafts and also gets a bump in power by 10PS. However, the torque numbers are unchanged at 80Nm. Along with the switchable traction control and ABS, both the bikes will be offered with two new riding modes - Road and Rain. 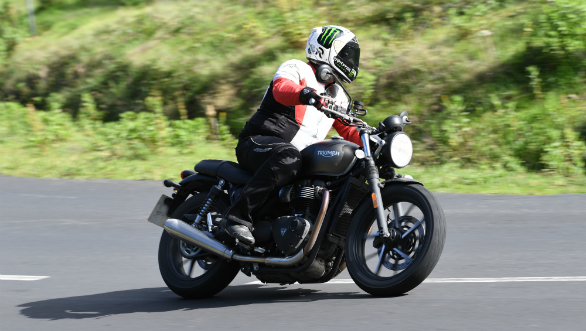 Live updates: 2019 Triumph Street range is here!